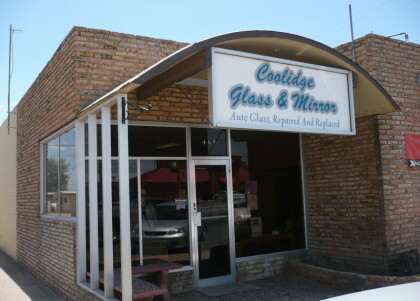 Coolidge Glass & Mirror specializes in commercial and residential glass installation and repair services in Coolidge and surrounding areas: Casa Grande, Eloy, Florence, San Tan Valley, Queen Creek, Gilbert, Mesa, and Chandler. Glass is our specialty! We also provide security doors, energy efficient windows, glass doors & windows, exterior roller shades, sunscreens and window coverings. Everything to protect your home from the hot Arizona sun. Are you planning to redecorate or renovate your living area? When choosing your glass, Coolidge Glass & Mirror ensures that the proper type of glass is installed for your needs and that you will have a surface that is free from defects for many years.